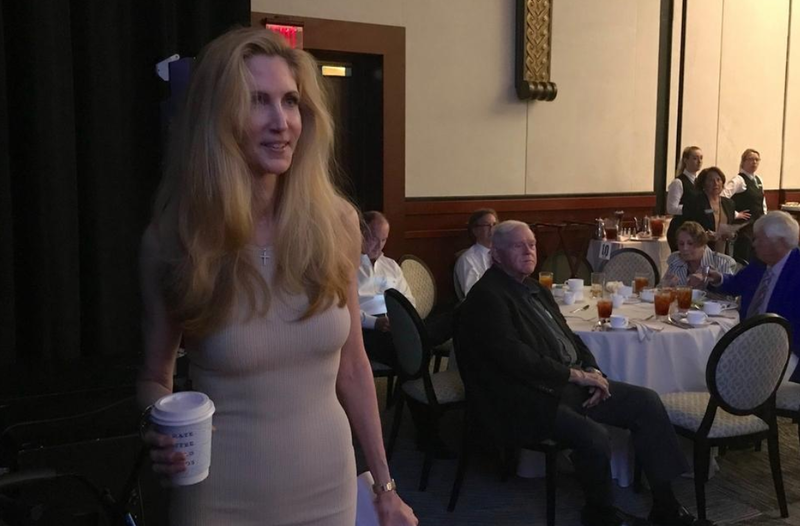 Coulter - once a die-hard Trump supporter who visited him in the wake of his historic election win, has become a harsh critic of the president - calling him "gutless" on immigration in a December column. In February, she called Trump an "idiot" for declaring a national emergency to secure funding for the wall. Trump hit back, saying Coulter was "off the reservation" and that he hadn't met with her in over a year. On Saturday, Trump tweeted from Mar-a-Lago that Coulter was a "wacky nutjob" who "still hasn't figured out" that he has been "winning" the war for the border wall - of which "major sections" are being built, while his administration has apprehended thousands of illegal immigrants. 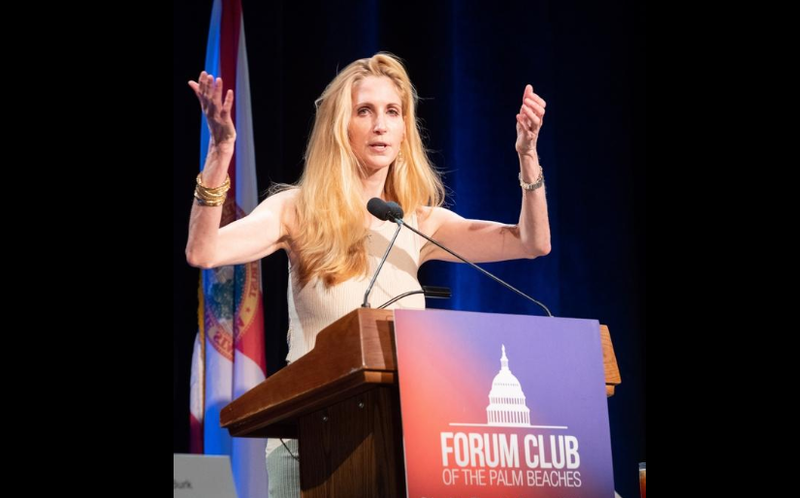 "I don’t know why he doesn’t just ignore me," Coulter told the West Palm Beach crowd of roughly 600. "He doesn’t mind ignoring the rest of his base." Segueing to an attack on the media, Coulter said: "Trump may be a shallow, narcissistic conman, but that doesn’t mean the media are not the enemy of the people. Both things can be true," adding that perhaps one positive outcome of Trump's presidency might be the "total destruction of the lying media."